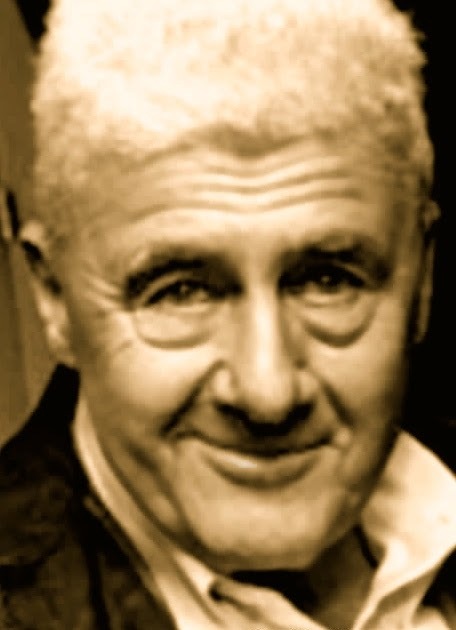 A Year of Being Here: Howard Nemerov: "Trees"
A critical tree—about the nature of things. "Trees" by Howard Nemerov, from The Collected Poems of Howard Nemerov. © University of Chicago Press, 1981. My thanks to an anonymous visitor to our website for suggesting this poem. 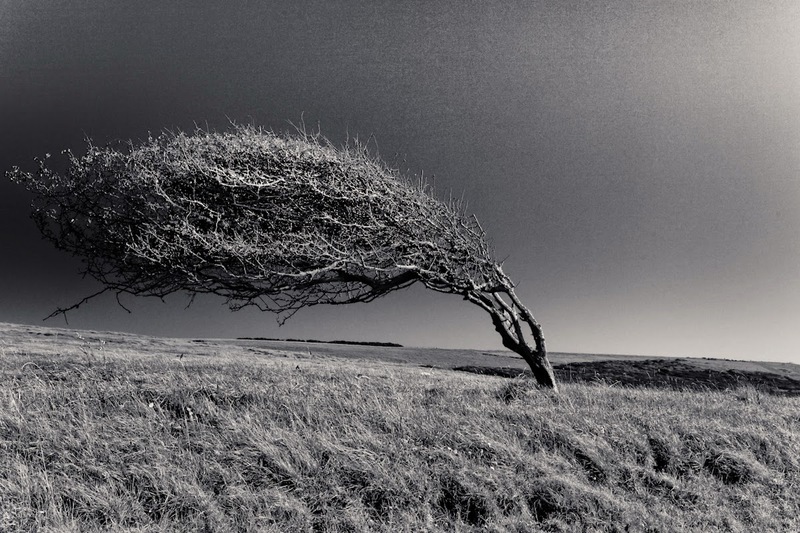 Art credit: "Wind Tree," photograph by Richard Alois. 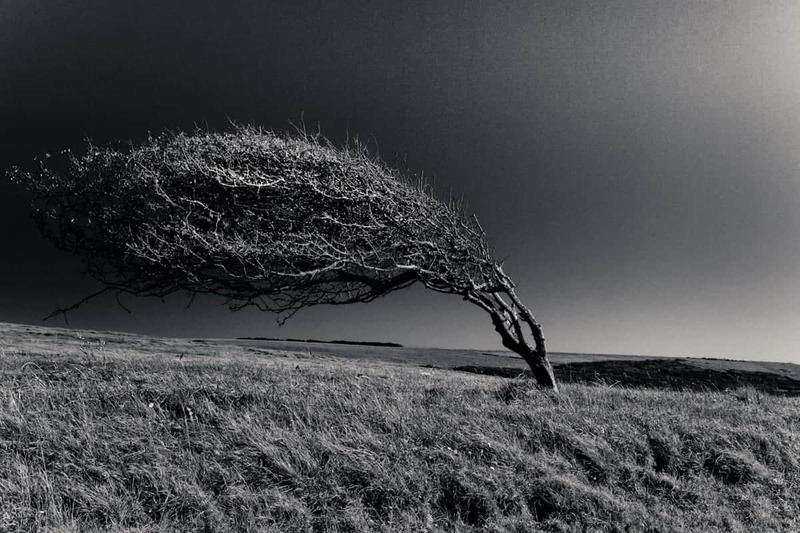 Caption: "A tree torn and formed by the ever blowing at Seven Sisters in UK." I'm not sure who the "her" is. Can you clarify please? A code and an anthem to live by.